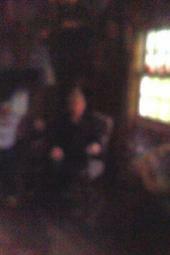 The Spirits of Farnam Manor thank you for visiting! Please come back soon! Looking for a REAL Halloween Experience? Open rain or shine of the moon! Doors open at 7pm. Tours start about every half hour. You must be here no later than 10 pm on Fridays and Saturdays and 9pm on Sundays and Thursdays to take the tour. You can beat the crowd if you come on Thurs. or Sunday! Centuries ago, Halloween was a time to honor the Spirits. It was a celebration to honor and show respect for our ancestors and loved ones who have passed away. It is said that the Spirits rise to the earth this time of year to mingle with the living. Bonfires were lit to ward off evil spirits. Marigolds were believed to draw the spirits. Join us as we pay tribute to the Spirits of Farnam Manor! John Farnam had served as a special agent for George Washington in the Revolutionary War. He acquired 1200 acres of prime land in the Western Reserve for his service. In 1812, he brought his family from Connecticut. Farnam Manor was built in 1834 by his son, Everett Farnam. The estate grew to 3200 acres, making Everett the largest land owner in Summit County. Farnam said before he died that he would come back as a raven so he could soar over his property. To this day, ravens are seen daily keeping a watchful eye on the land. Legend has it that the spirit of his little daughter Emily still remains since she drowned in the cistern in 1858 at age 7. Recent encounters support the legend. when the "ladies" got pregnant, they would see the doctors here. Another legend talks of the sound of babies crying on the full moon and their mothers singing to them on the new moon. From 1948-1972 the Manor was home of the Danish Smorgasbord. After the restaurant closed, the house was rented to college students. Stories are told of the shenanigans of the spirits during both periods! Come out to Farnam Manor and mingle with the spirits! The Spirits of Farnam Manor love company and anxiously await your visit! They are just people that have passed on before us. There is no evil. No fake gore. Farnam Manor appears to be a place where Spirits gather and linger. It shows us that our soul can live on after our body dies. Believe it or not! Skeptics have been known to become believers. Your experience begins in the 1840 carriage house. Next, sit by the roaring campfire and hear the legends and lore of the Farnam Estate. Groups will be escorted to the Manor and tour the halls of the mysterious manor by lantern light. Who will you encounter along the way? Ohio Living History Society interpreters, in period dress, will portray people from the Manor's past. Witness the energy! Tours are about 45 minutes in duration. Bring your cameras! The Trail to the Unknown is a path winding through the land that was once Farnam's Gardens. Put on your hiking boots and prepare for adventure! Enjoy the crisp autumn air and the woods by moonlight.This is not your typical walk in the park.The creatures come out at night! Animals? Spirits? There have been recent sightings of both. You never know what will happen! Not for the feeble or faint of heart. Some rough terraine. The Trail to the Unknown is like the path of life. You will have to make some choices along the way. All you need to do is follow the Light and you will not be lost. It takes some longer than others, but you should find your way to the exit in about a half hour or so. * Ghosts want to be noticed. 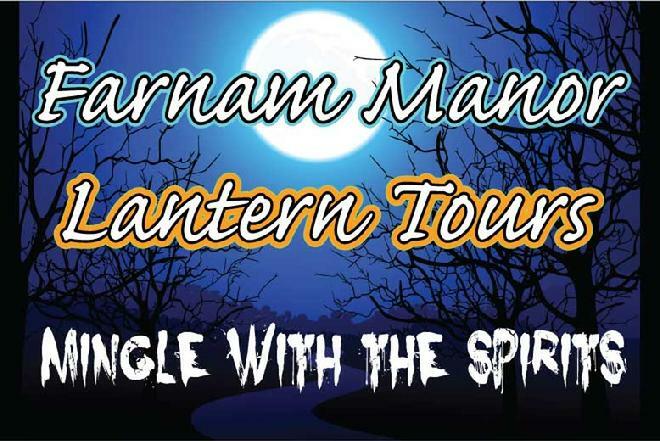 Mingle with the Spirits of Farnam Manor ! Buy tickets online and save!! Buy 3 trail and manor tickets get 1 free!